In 12-inch nonstick skillet, heat oil over medium-high heat. Cook chicken in oil about 4 minutes, turning once, until brown. In 4- to-5-quart slow cooker, mix onion, diced and crushed tomatoes, honey, cumin and cinnamon. Add chicken. Spoon tomato mixture over chicken. Cover and cook on Low heat setting 7 to 8 hours. Stir in peanut butter until melted and well blended. 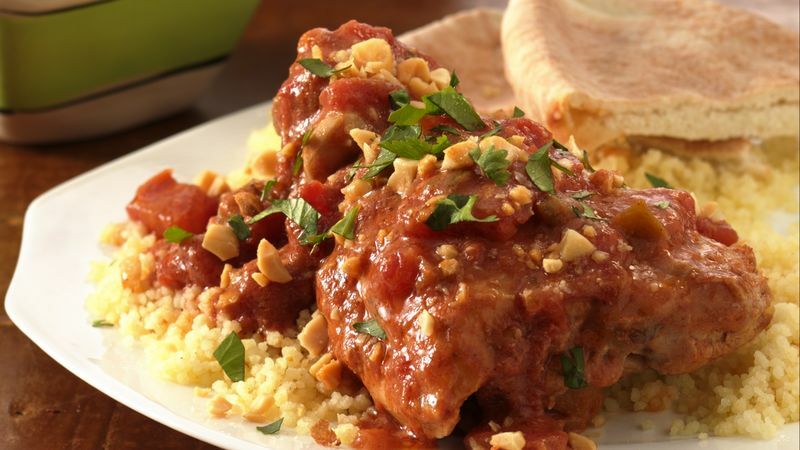 Serve chicken and sauce over couscous.